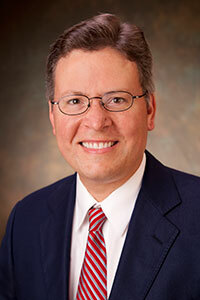 Home >> Our Providers >> William B. Boyd, M.D. Dr. Boyd received his medical degree from the University of Tennessee, Memphis College of Medicine where he received the Faculty Award for highest academic standing. He completed a combined residency in both Internal Medicine and Pediatrics at Vanderbilt University Medical Center where he then served as Chief Resident of Pediatrics. At Vanderbilt he was a two-time recipient of the Jay W. Hillman Award given to the resident who is deemed the best teacher and role model by the medical students. Following his residency training, he served as an Assistant Professor of Internal Medicine and Pediatrics at Vanderbilt University Medical Center and then at UAB/Children's of Alabama. Dr. Boyd is board certified in Pediatrics and Internal Medicine and is a member of the American Academy of Pediatrics. Dr. Boyd is married and has twin sons and a daughter. He has been with Pediatric Associates since 2012.